Serving Los Angeles, Ventura, Santa Barbara & North Orange Counties, Pro Water Solutions provides the highest quality and most specialized home water treatment systems available in today's market. Give your family or business water softening done right. 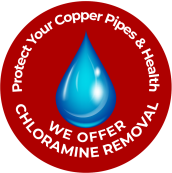 Whether you are interested in a water softening system, reverse osmosis treatment, chloramine removal, or a whole-house water treatment system, the team at Pro Water Solutions is your choice for premier water treatment in Santa Clarita and the surrounding counties. We have been the choice for the Los Angeles area for over 17 years when it comes to custom solutions, earning us a strong industry reputation with A ratings from Angie's List, Home Advisor, and Yelp, as well as an A+ Rating from the BBB. With us, you won't have to worry about high-pressure sales tactics. We don't charge commissions that drive up normal pricing. Call us today to learn more about how we can help your family enjoy cleaner, softer water. Because each home’s city water supply will have different levels of mineral content, getting the right water filtration or softener for your needs is important. During your free in-home or phone consultation, we will test your water to find out what type of system would best suit your needs. We also offer phone consultations for your convenience. At Pro Water Solutions, we offer safe, high-quality products that meet the regulations of both the National Sanitation Foundation and the American National Standards Institute. Our team handles any and all needs related to water treatment systems. Call today and get started on your custom water treatment system. Since 2001, Pro Water Solutions has provided custom water solutions to customers throughout Valencia, Simi Valley, and the Greater Los Angeles area. We also service Orange, Ventura, and Santa Barbara counties. Our unmatched service and outstanding attention to detail have earned us a reputation as the Santa Clarita water treatment service customers can count on. You'll even have direct access to our company owners. We serve both commercial and residential needs, so no matter how big or small your water softening demand may be, Pro Water Solutions has a system that’s right for you. We use the latest technology to deliver reliable, innovative solutions for your water softener needs. Whether you need a new, warranty-backed equipment installation or just need regular maintenance on your current system, Pro Water Solutions delivers. Looking for the best water softening & water treatment company you can count on? 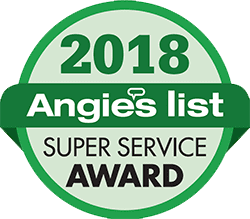 Pro Water Solutions has earned awards from some of home services’ most recognizable organizations, including HomeAdvisor, Angie’s List, and the Better Business Bureau. Our team uses the latest technology to help our customers get the best systems for their needs, with all our crew members bonded, insured, and protected. We are committed to environmental sustainability, so your water treatment system doesn’t have to come at the expense of the planet. Find out more about how Pro Water Solutions can help you get the water softening system you need. Call today to schedule your free in-home consultation or, if you prefer, opt for a phone consultation.